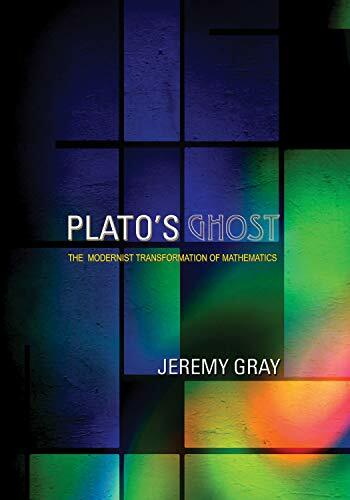 Plato's Ghost is the first book to examine the development of mathematics from 1880 to 1920 as a modernist transformation similar to those in art, literature, and music. Jeremy Gray traces the growth of mathematical modernism from its roots in problem solving and theory to its interactions with physics, philosophy, theology, psychology, and ideas about real and artificial languages. He shows how mathematics was popularized, and explains how mathematical modernism not only gave expression to the work of mathematicians and the professional image they sought to create for themselves, but how modernism also introduced deeper and ultimately unanswerable questions. Plato's Ghost evokes Yeats's lament that any claim to worldly perfection inevitably is proven wrong by the philosopher's ghost; Gray demonstrates how modernist mathematicians believed they had advanced further than anyone before them, only to make more profound mistakes. He tells for the first time the story of these ambitious and brilliant mathematicians, including Richard Dedekind, Henri Lebesgue, Henri Poincaré, and many others. He describes the lively debates surrounding novel objects, definitions, and proofs in mathematics arising from the use of naïve set theory and the revived axiomatic method--debates that spilled over into contemporary arguments in philosophy and the sciences and drove an upsurge of popular writing on mathematics. And he looks at mathematics after World War I, including the foundational crisis and mathematical Platonism. Plato's Ghost is essential reading for mathematicians and historians, and will appeal to anyone interested in the development of modern mathematics. Jeremy Gray is professor of the history of mathematics and director of the Centre for the History of the Mathematical Sciences at the Open University. His books include Worlds Out of Nothing and János Bolyai, Non-Euclidean Geometry, and the Nature of Space.